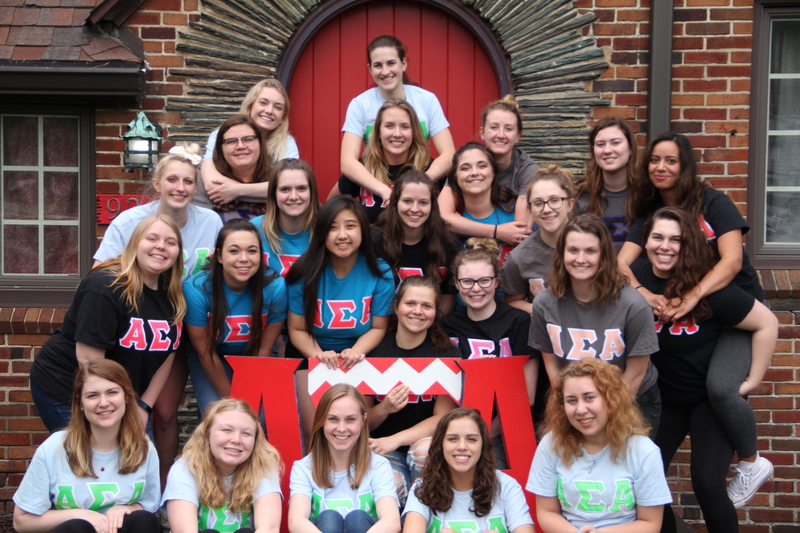 When Alpha Sigma Alpha first laid roots at GMI in October of 1973, their vision was to help develop women who have strong connections to the four aims of Alpha Sigma Alpha: spiritual, social, intellectual, and physical. After two years of development, we received our charter on May 10th, 1975 with 8 founding members. Today, there are 21 active members of Alpha Sigma Alpha Delta Nu-A. Throughout the years we have moved from place to place looking for somewhere to call home. After much searching, we have firmly rooted ourselves in the historical home with the red door on 6th street near Mott Community College. Alpha Sigma Alpha Delta Nu-A chapter has strong philanthropy roots. Nationally, Alpha Sigma Alpha supports the Special Olympics and the S. June Smith Center. Locally, Delta Nu-A has supported organizations such as Big Brother Big Sisters, The Humane Society, The American Cancer Society, Habitat for Humanity, The American Diabetes Association, and many soup kitchens in the Flint area. When Alpha Sigma Alpha first set foot at what was then GMI in October of 1973, their vision was and remains to be the development of women of poise and purpose, with strong characters and concern for others. After two years of development, they received their charter on May 10th, 1975 with 8 founding members. Today, there are over 25 active members of Alpha Sigma Alpha Delta Nu-B. 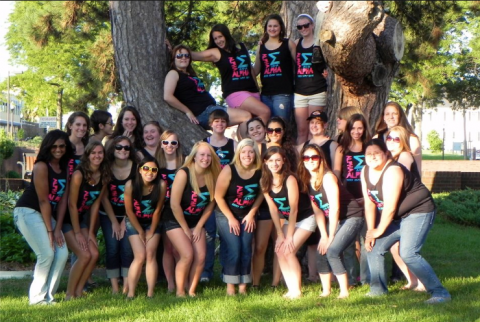 Alpha Sigma Alpha is founded on four aims: intellectual, physical, spiritual, and social. As members of ASA, we strive to uphold a balance between these four aims in our everyday lives. We pride ourselves on our academia-based culture, making school a top priority. We participate in many intramural sports such as soccer, flag football, volleyball, etc. The sisters of ASA are also very involved on campus, from holding social events to being members and officers of various organizations, such as Kettering Student Government, the Society of Women Engineers, the Robot Honor Society, and many others. In addition to these aims, the Alpha Sigma Alpha Delta Nu-B chapter has a strong philanthropic foundation both locally and nationally as it supports the Special Olympics, Girls on the Run, and the S. June Smith Center, among others.